This was a difficult site with Rights of Light issues on Balham High Road. 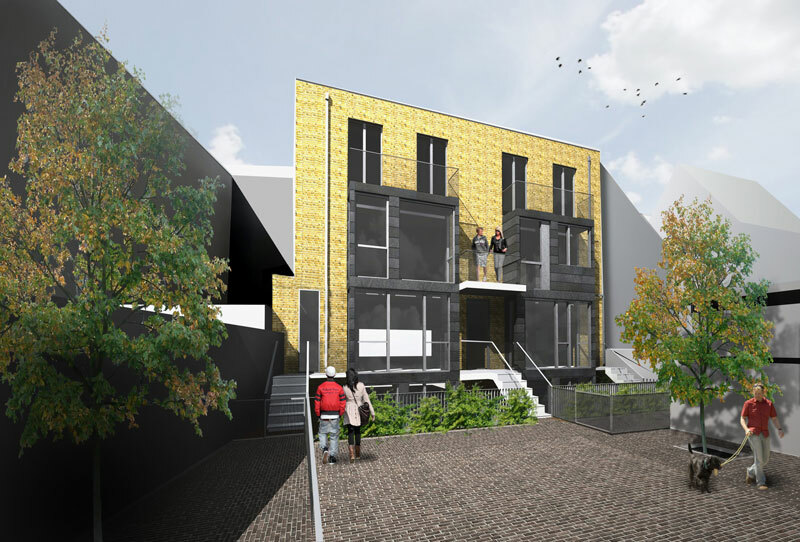 The existing building onto the High Road was retained and the staircase relocated centrally so that an additional floor could be accommodate in a contemporary infill to the rear yard achieving consent for a total of 7 flats and maisonettes. Nearly 40 neighbour notifications were issued by the Council with not one objection and the design was approved on the first application.